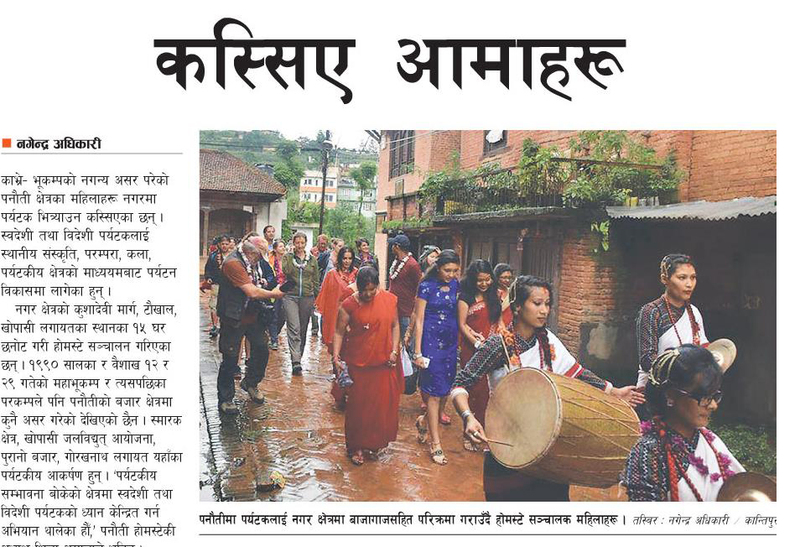 Kavre – Earthquake proof Panauti and its fearless townie mothers are in the energetic mood to welcome tourists in their hometown. With the help of their local culture, lifestyle, art, and touristic sites, they are motivated to welcome both domestic and international tourists. There are 15 local homes in Kushadevi Marg, Panauti, which have now converted and being operated as a homestay. Panauti is a place which has always escaped the major earthquake destructions, and, indeed, missed the latest earthquake that took lives of thousands. Against the latest earthquake, Panauti and its market faced no destruction, at all. “We are trying to focus those places with a higher touristic potentiality for both domestic and international tourists”, says the president of Panauti Homestay, Shila Amatya. Local women have given proper training to operate homestay from their very own houses. Sanumaiya Shrestha who is 51 years old now can speak English after the training. “I had never gone to school, but time teaches everything”, “To co-operate with international guests, I can, now, perform normal English conversation”, says 51 years old. It has been made mandatory for a host family to speak, at least, English language for the better convenience of guests, and for themselves. Since there are no big hotels, such homestays have become better alternatives for tourists to understand the typical culture of Nepal. 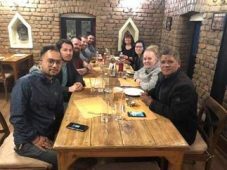 This entry was posted in News and Current affairs, Events and tagged Communityhomestay.com, Nepal Homestay, Panauti Homestay, Homestay in Nepal by royalmt. Bookmark the permalink.